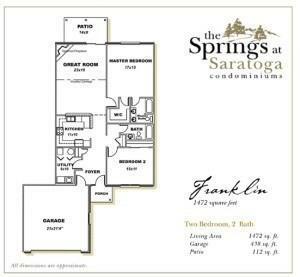 1472 in this open design 2 bedroom condo with raised and vaulted ceilings. Covered patio, fireplace and finished 2 car garage are standard features along with walk-in closet in the master bedroom and a bath which includes walk-in shower, 2 bowl vanity and linen closet. Spacious kitchen open to living/dining area and includes an eating bar and pantry. Customize with your own selections and make this your home. The low monthly fee of includes your personal water bill. 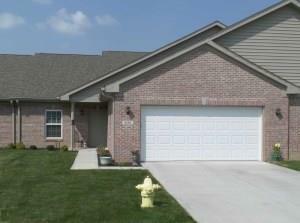 Enjoy living in this quiet community with easy access to airport, shopping, recreation and downtown Indianapolis.